Using BEMER daily gives your body consistent microcirculation and immune system improvements so that your metabolism can start functioning properly again. The B.BOX is thecontrol device that sends the BEMER signal to the module that you wish to apply to your body. All you need is an 8 minute session on the B.BODY (full body mat) to dramatically enhance the microcirculation in your body. After this session you can treat the rest of your body’s affected areas with either the B.PAD or B.SPOT for 8-20 minutes – these are intense treatments that further optimise the regeneration of cells in organs and bones. If you have any visible skin conditions (eczema, burns, sutures, acne, stings, bruises) that you wish to treat then the B.LIGHT is a very effective module to rapidly accelerate regeneration. The BEMER Base Programme is the most effective way to maximise the physiological effects of BEMER application. It is a 4-week cycle that is repeated into perpetuity. Other modules can be used anywhere on the body preferably after the B.BODY session for best results, when using the B.BOX Classic. Phase 10 (intensity level 10) on the B.BODY can be immediately applied after the Base Programme session to further optimise immune system activity and osteoblast (bone cell) proliferation for bone density. Please call Stuart (083 412 0820) if you have any questions about BEMER application and programming. Just remember you can’t overdose on BEMER and you can never do an incorrectly programmed treatment because any exposure to BEMER will provide you with health benefits. Have a look at the three BEMER models currently available. START YOUR YEAR GETTING WELL! If the condition of your health is worrying you before the New Year has even kicked off then you need to take action right away. Make 2014 the year you took control of your health and turned your life around in a way you never thought possible. The deterioration of our health status can often be masked by medication that biochemically ‘hides’ symptoms of a progressive disease. What we often don’t realise is that millions of cells of an organ need to be in a state of dysfunction before symptoms start to appear and we seek medical advice. We have grown up taking pills for all of our ailments and complaints and have not been educated well enough to ‘listen’ to our body’s cry for help when something goes wrong. Instead we surrender ourselves to healthcare professionals to diagnose and medicate us so that we can get well again. More often than not we simply don’t address the underlying cause of disease or illness because pills are easier to take than implementing healthy lifestyle habits. And today some of us are so ill that even a mild exercise plan is not an option. Simply put, the cells of your body first require the basic element of oxygen, in abundance, to metabolise. A simple test of holding your breath for as long as you can proves that breathing oxygen is the fundamental key to life, because within seconds of holding your breath the oxygen deficit increases exponentially. If we aren’t allowing the cells of our bodies to receive adequate oxygen then they will not function as they should and so they will become acidic and eventually die. Cells also require nutrients and minerals to perform metabolic functions and so our diets play a critical role in the condition of our health. The amazing results that BEMER achieves at cellular level have been scientifically proven, are measurable, repeatable and 100% safe. Dr Rainer Klopp who heads the Institute for Microcirculation in Berlin has documented the profound physiological changes that take place in human blood parameters in under 8 minutes of BEMER exposure. It is safe to say that no other technology or medicine can produce these results without any side effects, in the comfort of your home, every time you use it. This is the year to invest in your health and well-being because what is the point of continuing down the same path expecting your health to radically change course? We tend to spend so much money on luxuries, recreation and status whilst denying our bodies similar attention and investment! 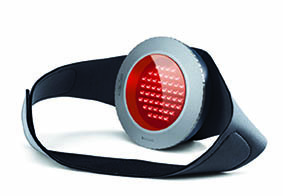 Educate yourself about BEMER and take charge of your health today. Make the investment of a lifetime to start living life the way you did when you were younger and free of the conditions that are hindering the quality of your life. Send me your contact details so that I can forward you more information. Remember to always ask for scientific proof and evidence that supports medical claims! Why start this New Year with a precarious health outlook when you can rather have your own BEMER System and Get Well Now!? Make 2014 your year of good health. All that an electromagnetic field can do is influence the physical (electronic) stability of ions so that their behaviour is affected. A typical example of how and electromagnetic field influences ions is a simple FM radio receiver. The ions that comprise the antenna of the radio are physically/electronically affected by a specific wave and frequency structure that affects the properties of the current running through the antenna. The changes in current are then amplified by transistors so that you can hear sound through a loudspeaker (another device that relies on the physics of electromagnetic energy). The ions in our bodies are similarly affected by magnetic, geomagnetic and electromagnetic fields all the time, some of which are good for us and some bad. BEMER was theoretically formulated by Prof Wolf Kafka, at the Max Planck Institute in Germany, and then manufactured to make use of a complex modulated direct current electromagnetic pulse of very low intensity (3-100 µT – the intensity of the Earth’s geomagnetic field is between 35 and 65µT) with a broad frequency spectrum that positively influences the electronic stability of ions in all living organisms. BEMER International AG holds international patents for this special signal. BEMER application has been scientifically verified on humans by Dr. med. 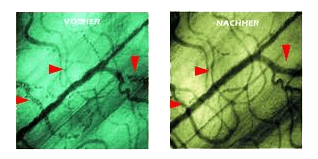 Rainer Klopp (Institute for Microcirculation, Berlin), to consistently and measurably stimulate the natural vasomotion of pre- and post-capillary bloody vessels in at least two distinct diameter ranges (120 microns and 50 microns). Blood viscosity also decreases due to the dis-assembly of the Rouleaux formation, which is a coin-like stacking of erythrocytes (red blood cells). Dr. med. Klopp also refined the delivery rhythm (frequency) of BEMER which has also been patented, further enhancing the BEMER’s efficacy. Intestinal microcirculation changes within 8 minutes of BEMER application – Institute for Microcirculation, Berlin. Consider that the tiny rolling ball in the tip of a ballpoint pen is a sphere with a diameter of 1 millimeter and that between 3000 and 5000 capillaries are contained in the equivalent space of human tissue. When microcirculation is impaired then the tissue cells within that tiny space do not receive adequate oxygen and nutrients necessary for healthy cellular metabolism and nor do they get rid of the waste products that have been metabolized. The debate on the exact number of cells that comprise the average human continues but the latest I have accepted as a lay person is almost 40 trillion cells (Smithsonianmag.com article). It has also been estimated that the number of chemical reactions that take place inside a single human cell is 4 million events at any given moment. The delicate biochemical pathways within each cell require adequate nutrients, elements and oxygen, which can only be supplied by the blood through the vast and intricate network of blood vessels (arteries, arterioles, capillaries, veins and venules). Unfortunately our lifestyles lead to unhealthy changes in our microcirulcation causing these biochemical pathways to be disrupted, ultimately resulting in chronic diseases for which we take medication, despite the steady decline of our quality of life. BEMER encourages the microcirculation to function properly again (should there be no observed occlusions or unnatural obstructions) so that the cells can also do their special jobs of keeping us healthy, mobile and alive.